Why Choose the Massage Studies Program? Massage can play a vital role in the healing of the body from traumatic events or even just the daily grind of life. Massage therapists help people recover from serious injuries and reach their full physical potential by helping alleviate pain and stress in the musculoskeletal system. Students in CPTC's Massage Studies program develop a strong foundation in Swedish massage and deep-tissue techniques. Clinical massage students benefit from advanced training in treatment applications and assessment, with varied teaching techniques addressing a wide variety of learning styles. Students learn about the human body, self-awareness and healing stress-reduction strategies. Massage therapists are licensed health care providers in the state of Washington, and many are employed in medical settings. The career potentials range from medical clinics to spas, sports teams, private practice and more. If you enjoy helping people overcome the physical strains of stress and injuries, a massage career might be a good fit for you. CPTC's Massage Studies program covers skills and topics from Swedish relaxation massage to injury assessment and treatment. Our program not only exceeds minimum state requirements but provides advanced training to prepare students to work in medical settings. All program lengths are estimates and are not guarantees. Fill out the form below to receive more info. This is not a guarantee of employment or a certain wage. Full career data available at careerinfo.net. Be prepared to successfully pursue a career in Massage Therapy; either as an employee or self-employed therapist. Effectively communicate, both verbally and in writing, with clients and other health care professionals. Document and justify treatment choices for different skeletal-muscular pathologies. Perform and evaluate a kinesiology assessment. Safely and effectively perform a variety of Massage techniques specific to client wants and needs. Evaluate work quality and generate recommendations for continuous improvement. Qualify to sit for a Washington State approved Certification Exam for Massage. Participate in a clinical setting as a responsible and ethical professional. Daytime instructor Yvonne has been a pioneer in the massage profession since 1981. She served on the Washington State Massage Board from 1985-1987 and has worked in a variety of medical settings, including physical therapy and chiropractic clinics. Yvonne is dedicated to the massage profession, and after more than 30 years in the classroom she still loves teaching others to carry on the work. She brings with her a counseling background and holistic approach to health that encourages students to grow personally as well as academically. Evening instructor Jason graduated from the Seattle Massage School in 2000. 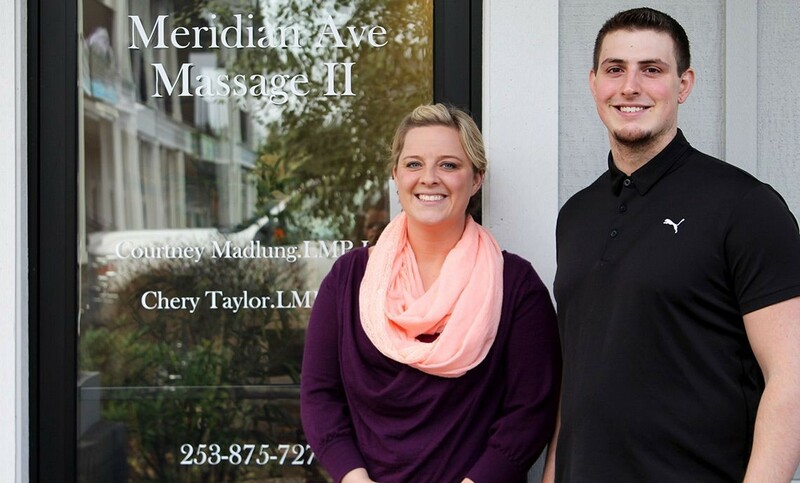 Since graduating, he has worked in corporate seated massage, a chiropractic office, a local high-end spa and more. He specializes in deep tissue, sports massage, injury treatment and pregnancy massage. Jason has more than 10 years of teaching experience and loves to share his passion for massage with aspiring massage practitioners. 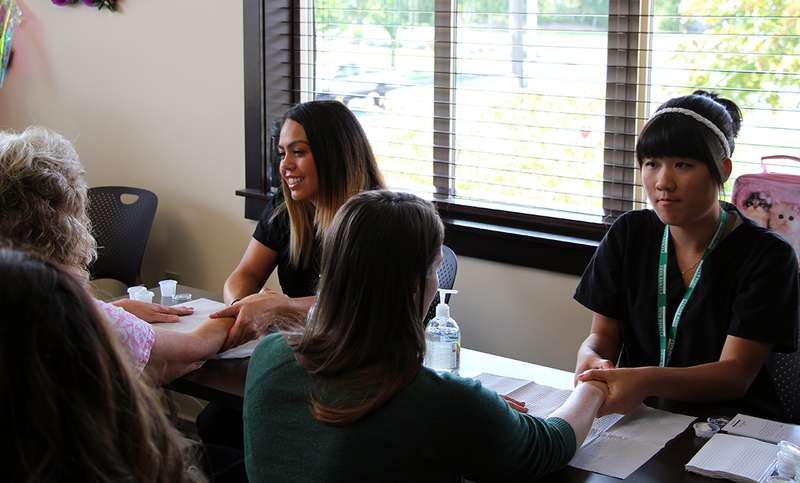 Massage Studies Program Information Sessions are hosted in Building 8 lobby at 3 p.m. on the second and fourth Wednesdays of the month. For more information and a complete schedule of session dates, click here. October is Breast Cancer Awareness Month, and a group of Clover Park Technical College esthetic sciences students got a head start on assisting with prevention and treatment last week when they volunteered their skills to mammogram screening patients at Carol Milgard Breast Center in Tacoma. Perry Lewis has lived in darkness. Lewis experienced total blindness for a month after losing vision in his left eye and temporarily losing sight in his right eye due to complications with diabetes. While doctors were able to restore the vision in his right eye, Lewis is legally blind in his left.